Maymay Entrata doesn’t want her and Kisses Delavin’s fans to be fighting with each other. 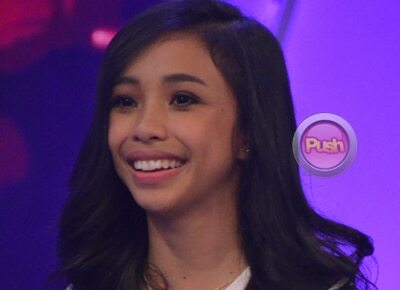 Pinoy Big Brother Lucky Season 7’s Maymay Entrata seems to be facing a lot of issues ever since she emerged as the Big Winner. One of these was fourth Big Placer Edward Barber’s admission that he likes her. Did they get to talk about it personally? “As a friend po talaga… Napag-usapan na po namin. Sinabi po namin na, ‘o, magfocus tayo sa kung anong meron natin ngayon tapos i-enjoy natin ‘to. Dapat hindi mawala ‘yung pagiging comfortable natin dahil ‘yun ‘yung importante at saka ‘yung friendship talaga as in, talagang ayun ‘yung nangingibabaw,” she told PUSH.com.ph, adding that there is no awkwardness between them. Speaking of ‘ilangan,’ Maymay also spoke about the issue of fans pitting her and second Big Placer Kisses Delavin against each other. Did it affect their relationship in any way?